The process of erecting a building can be incredibly wasteful. The pollution emitted in processing and shaping the necessary materials is just one of the many sources of waste released into the environment. Transportation from factory to the construction site usually entail either large cargo ships or trucks, depending on the shipment distance. It’s entirely possible both forms of transportation may be needed for specific shipment. Besides releasing harmful CO2 gases into the air, the cargo ships massively contribute to the pollution of our oceans. Modular construction is less wasteful – the shipments are easier to transport and typically will not be scattered over several different trucks, each of them arriving on the building site at separate intervals. Even the factory process itself creates fewer harmful toxic gases. 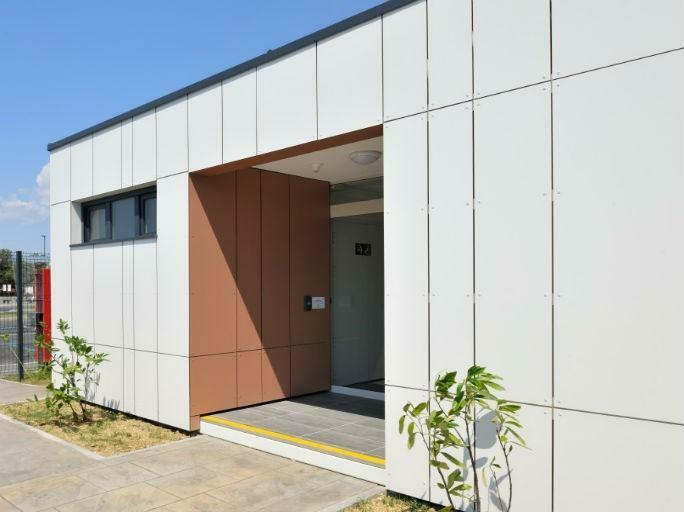 Chosing the modular construction process is worth it even solely for its environmental impact. It presents a greener alternative to traditional construction, besides being generally cheaper and more accesible to the general population. Even more, modular buildings function as individual segments, which are then transformed into a unified whole. This means it is entirely possible to reverse the process in most cases. The modular building may be taken apart, moved and put back together in a different location. The separate pieces may be reused as auxiliary parts. The process entails recycling on a larger scale. Reusing older, undamaged modules helps save on raw materials and reduce needless expenditures. It is also much quicker – afterall, the segment needs only to be transported. Making new units from scratch takes time, funds and energy. 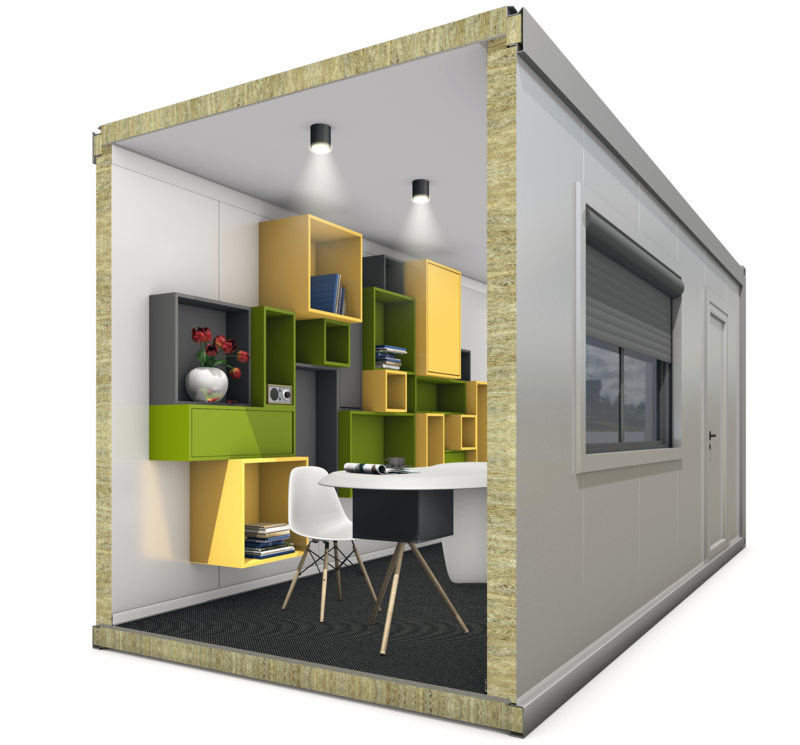 With modular buildings, the client may at the very least – by reusing their own older equipment or buying used segments – be spared the expenses of some of the construction cost. Using prefabricated units lowers the project’s expected completion time. Creating structures from pre-prepared blocks is much easier than building something completely a-new, afterall. Typically, the assemby crew will have finished all construction in approximately half the time it would have taken them with a traditional-style construction process. A key element why the vast difference in time periods occurs is the simultaneous work on the site’s foundations and the building’s assembly. The foundation work, which would typically have to be completed prior to the start of building, may occur simultaneously with modular constructions. Another element is the unimportance of weather conditions. The modules are manufactured beforehand – inside factories where inclement weather is virtually irrelevant. The assembly of the different segments is scheduled during a series of sunny days and carried out as quickly as possible – without foresaking quality and security. Before construction, a potential client might be unsure of all the minutiae that the project might entail. Erecting a building from scratch is much easier with the help of a professional company that specializes in prefabricated modular structures. They will assist and guide the client through the necessary steps and provide the experience needed. Their work with previous clients will allow them to usefully recommend features that others have previously enjoyed. For that very reason, it is recommended to look into the company’s previous work history. Were their clients satisfied? Was the construction completed on time and within the agreed upon budget? Were there unforseen expenses, and were these absolutely necessary? Typically, a respectable company will feature reviews on their webpage. Community web forums might provide helpful tips as well. If at all possible, it might be helpful to get in touch with a former client, especially if the online reviews tend to be rather mixed. The process will typically begin with a series of consultations, after which the first drafts will be drawn. If the client is satisfied with these, they will be finalised. All the necessary material and modules will be ordered. Their arrival time may be very different, depending on the content and size of the project the client chose. It may range from a few weeks to a couple of months. Afterwards, the necessary equipment and working force is acquired. The assembly will likely only take a two or three weeks. The company will employ electricians, plumbers and other professionals.